Here you will learn how to add a link. Highlight the text that you would like to lead to a link, and click the button. 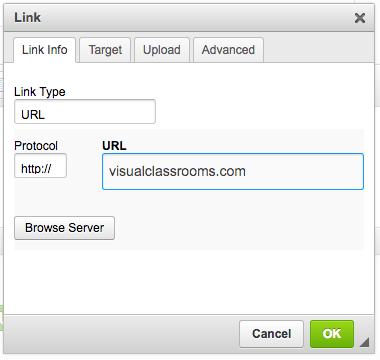 Then, paste your link in the URL box. Click the button, then .